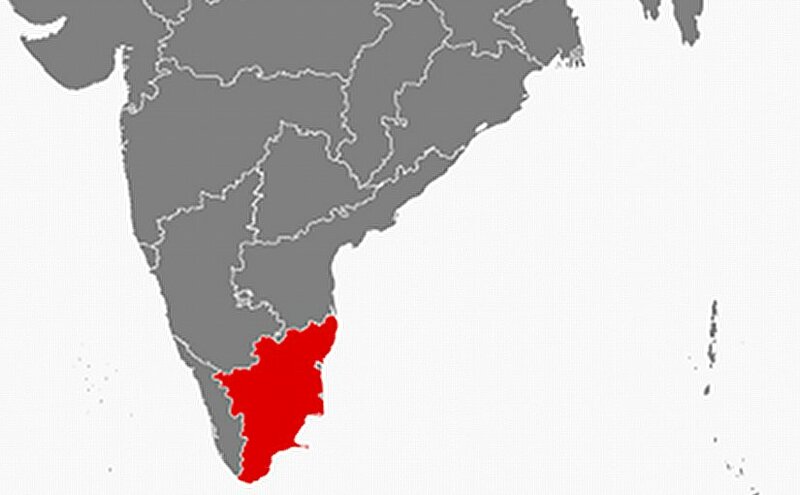 Tamil Nadu province in South India is presently facing severe drought conditions with the failure of the south-west monsoon and the north-east monsoon to the extent of around 60%. It is reported that the distress conditions faced by the agricultural farmers in the province due to the erratic monsoon and lack of water for irrigation are so severe that a number of them have been driven to commit suicide. Nandini Voice for The Deprived (nandinivoice.com) a not-for-profit organisation invited the views and suggestions of the citizens living in Tamil Nadu to provide short term and long term relief to the farming community. Large number of people responded and the highlights of their views and suggestions given in this article are revealing. The extent to which the drought conditions affect the agricultural farmers in India calls for urgent national attention from all concerned. Drought in Tamil Nadu is not a new affair. Tamil Literature also indicates that famine-like conditions prevailed during the Pandian Kingdom for nearly 12 years. Once a fertile land, the delta region has encouraged the growth of forests and agriculture. Dense forest cover once helped reduce the likelihood of flash flooding, retaining water on hill slopes to enable slow percolation and recharge of the tributaries. Deforestation across the basin over the years has contributed to reduction in rainfall. Government has failed to prevent deforestation, which has proved costly. It is estimated that nearly 50% of the districts in the Tamil Nadu are now drought prone. Irrigation tanks, ponds, canals and other channels have not been de-silted and debris have not been cleared for many years. For instance, Cuddalore district alone has more than 3,500 irrigation tanks and many of them have dried. With so much experience in drought conditions in the past, Tamil Nadu government should have been ready to deal with the present conditions. But, unfortunately, we are still searching, discussing and looking for strategies to prevent or mitigate drought impact, even as monsoon keeps fluctuating from year to year. Many farmers are caught in debt traps with private money lenders. The interest rate are from 25% to as high as 60%. Most farmer suicides are for the reasons of monsoon failure and consequent high debt burdens, personal issues and family problems. They are forced to approach private money lenders, as the farm income is inadequate to meet their family needs such as education for children, hospitalisation or marriage. When crop failures happen, the mode of crop loss and damage assessment, compensation arrived at and also the time taken for disbursal are often seen to be arbitrary and do not meet the timely need. Crop insurance now is considered as a mirage by the farmers. Water scarcity affect productivity.During drought conditions, ground water depletion causes huge problems in irrigation. Tamil Nadu is located in rain shadow area where the mean annual rainfall is 1100 to 1200 mm, while mean annual evaporation is 2190 to 2930 mm in different seasons depending on sunlight/radiation hours. Even when there is high annual rainfall in the delta region, only 30% occurs during the months in which the major crops are produced, making irrigation often necessary to meet crop water needs and to avoid risk of low yield and profitability loss. Approximately, 65% of the farmland in this region is only irrigated. In such scenario, there is excessive dependence on ground water sources and operation of bore wells. The state has around 3.1 lakh bore wells and around 15.66 lakh open wells, which are used for extracting ground water. Pumps sets are increasingly being used. Wherever there are bore wells or pumps, there are good harvest. But small farmers in areas dependent on rain and dams who can not afford to invest in bore wells often suffer. Instead of digging bore wells, open wells should be encouraged, as the width of the latter is more and hence water percolation will be higher, leading to increase in groundwater levels. There is a misconception that the farmers in the delta region reaps three crops in a year and farmers are asking for more. That is definitely not the case. The predominantly clayey nature of the delta soil allows raising of only paddy during anytime of the year. If assured water for irrigation is available, farmers raise kuruvai and thalady paddy crops with the help of sub surface water in restricted areas. Once an area of millet cultivation, the delta region has transformed into a location for the cultivation of high yield paddy and sugarcane, both water-intensive crops. Present cropping pattern mostly denotes mono cropping of rice, which encourages rapid nutrient loss and increases the possibility of pest attack and disease and cause decline in soil fertility. It is necessary to initiate effective policy to keep the farmers occupied throughout the year by encouraging cultivation of alternate crop such as millet, which mean much less water need than paddy or sugarcane. Millets are climate resilient, drought tolerant and are somewhat resistant to pest and diseases. They are short to medium duration crop and requires minimum input. Possibility of returning to millet forming (which is more nutritious as well as water efficient) or to multi cropping of vegetables should be explored. Another reason for the agricultural problem in delta region is due to low productivity. This would be clearly evident when crop yield in delta region is compared to other countries like USA and China. Lower productivity results in lesser income for farmers. This, in turn, affect the investment in the farms. It creates a vicious cycle. This issue has not been given the attention that it deserves. Smallhold farming in delta region may not because of poor productivity, since the productivity is higher in China and many developing economies, even though small holder farmers in China constitute over 90% of its farming population. The Indian farmer receives just 10% to 20% of the price the Indian consumer pays, the difference going to transportation cost, middlemen etc. Farmers in developed economies of Europe and the United State receive 64% to 81% of the price paid by the consumers. Establishment of effective marketing structures with produce for ready sale to meet the consumer need is a great necessity for the farmers. Tamil Nadu lacks cold storage, food packaging as well as safe and efficient rural transport system. This causes high food spoilage rates, particularly during monsoons and during adverse weather conditions. Agri-produce travel to the Indian consumer through a slow and inefficient chain of traders. Consumers buy agricultural produce largely in suburban markets known as ‘sabzi mandi’ or from roadside vendors. This enables the middleman to mint money at the cost of farmer. “Dedicated farmers market” where farmers are given facilities for direct sale of the produce, is a good concept and it has not been given a fair trial. Tamil Nadu government should act as a catalyst to promote this farmer friendly marketing mechanism. This time the farmers had high yield in pulses and wheat. The prices of both have crashed. Same with vegetables. So higher yield need not transform to higher revenue to the farmer. In fact the world over the crop yields are too high including cotton and many other crops. This is at the expense of land and water degradation. Farming requires more planning in terms of sustainability by reducing overload on farms to get remunerative prices.